Forum Home - > Pow Wow Arena > Pow Wow Talk > Pow Wow FAQ's PowWow First Timer : what can do and not do? PowWow First Timer : what can do and not do? i'm attending my first powwow in the end of august at the 2017 Shakopee Powwow in Minesota. I'm half native from my father's side but never got the opportunity to attend events like those, and i was wondering if you guys knew what kind of things I'll be able/not able to do not being enrolled in a tribe (not myself, parents were). thanks and if you have any tips for first powwow i won't say no! On the right side of the page, you will see a section called Quick Links. Under there is a sub section called Resources for 1st Pow Wow Visitors. It's a good place to start. Can't see it on mobile phone but will check it out once I get a real computer thanks! LISA IRONMAKER and subeeds like this. I noticed you're making regalia. Do you plan to dance at your first powwow? I tell people that if you go to three pow wows you will figure out what it is about. 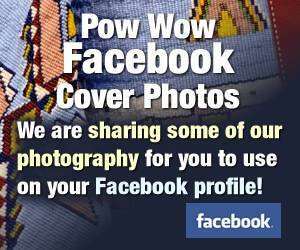 Explain what 'powwows are all about'. You put your left leg in , you take your left leg out , you put your left leg in and you shake it all about ! See , I know ! I know what it is about goodness&#128513 hard work, spirituality, love, gifting, honoring, learning not to interrupt or talk over others, learning not to point with your finger, socializing, using something from the vendors, donating to the drums, dancing to maneto with thankfulness, encouraging others. There is poetry there somewhere.